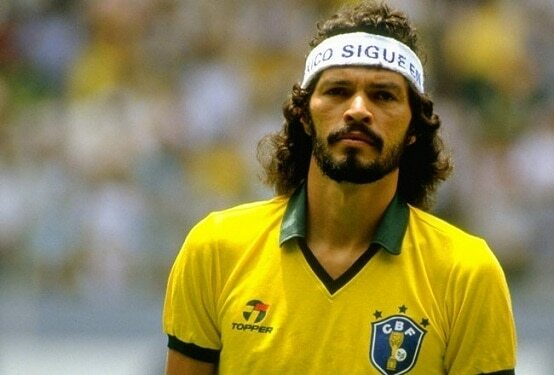 A simple research: how many world cups have you watched among the past nineteen world cups? As a matter of fact, all of us don't want to miss anyone even some people will stay up all night because of time difference. And, what kind of world cup matches could be considered as the best matches in the world cup history? With no doubt, every four years match has brought many surprises for football fans as well as satisfied a craving of watching football competition. Generally, each of matches has one moment deserving to be remembered though different fans have different tastes. 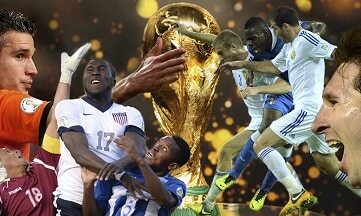 In this article, we will summarize some best world cup matches for you, and, they are highly recommended. Before the coming of 2018 Russia World Cup, you'd better catch time to review these former classic world cup games by downloading them and playing back directly on your PC or mobile devices after converting with MacX Video Converter Pro. And this tool is capable of downloading any World Cup videos, including 2018 World Cup theme songs, full games, highlights, clips of 4K, 1080P, 720P, MP4, AVI, MOV, MKV, FLV etc. We thought that the opening match of the 2018 tournament would be the worst one since Russia and Saudi Arabia were the lowest ranked football teams. But we are wrong! Russia's opener achieved a surprisingly 5-0 win thanks to two goals from sub Denys Cheryshev. Watch all the goals and highlights in Russia v Saudi Arabia. Spain and Portugal have powerful teams and the group is a won't-miss match from 2018 World Cup. Cristiano Ronaldo's hat-trick, a perfect free-kick in the 88th minutes, Portugal and Spain's epic 3-3 tie, the Ronaldo-Messi debates, this is the best match of 2018 FIFA World Cup so far! Check all the football skills and goals from Cristiano Ronaldo. Germany has a bad history in Russia and the World Cup champion lost the opening game for the first time since 1982. Mexico defeated Germany thanks to a goal from Hirving Lozano. Here're the Mexico vs Germany 1-0 highlights videos in HD. "Don't cry for me Argentina!" This is the most shocking match in the 2018 FIFA World Cup so far! Fans cried for Argentina's 3-0 loss to Croatia - the worst Argentina team, the worst result, and the worst coach. Feel bad for Messi and Argentina. Lionel Messi's skills are not to blame for the disaster, it's Sampaoli to blame. Germany lost the match and the 2018 tournament, which is the biggest shock so far! In the 92nd minute, South Korea scored the first goals, then, in the 96th minute, followed the second. Korea helped Mexico a lot by knocking off the champions. Argentina vs France is one of the greatest World Cup games of all time. Kylian Mbappe scored twice for France and the team reaches quarter-finals. Missed the match? Stream all goals and highlights from France vs Argentina 4-3 on YouTube. England vs Belgium is one of the most anticipated highlights in World Cup 2018. The match will take place on the 28th of June. England was beaten 2-1 by Italy because the playing style of Italy is too perfect for tournament play. 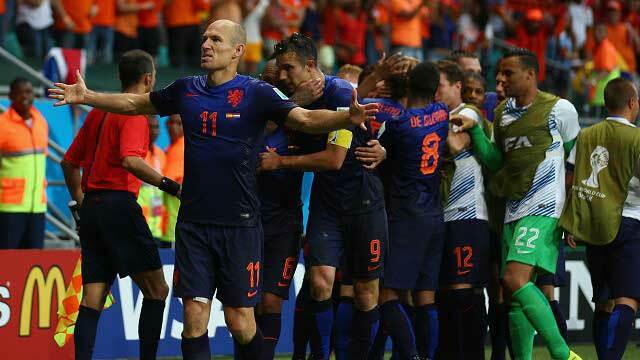 It is the worst start for England in 2014 Brazil World Cup. Famous for "Live Score, Highlights", it describes the moment of Robin Van Persie scoring. Dutch took well control of the game and never relented so that ended with a 5-1 score. Romania beat Argentina to 3-2. Dumitrescu and Gheorghe Hagi were the winning heroes of Romania and the Argentine team hadn't recovered from the pain of losing Maradona. This game was one of the greatest world cup matches in 1994 U.S. World Cup. The two sides fought evenly 2:2 after 90 minutes and later with the cruel penalty shootout, England was defeat by Argentina. It was the most wonderful match in 1998 France World Cup. Also check 2018 World Cup predictions. The two sides fought evenly 1:1 in 90 minutes and after the penalty shootout, France defeat Brazil. These football stars including Platini, Junior, Giresse, Zico and Tigana created this classic match especially approaching the end of their careers. The result was a match of football as pleasing to the eye as it was dramatic. 1970 World Cup semi-final battle between Italy and West-Germany is definitely one of the best world cup matches. German made use of the injury time to reversing the situation. In overtime, the two sides jointly dedicated to give the wonderful goal performances to fans. A game of football which was considered as the dramatic match. The enigmatic North-Korea was quickly become the favorite team of fans and earned their place in the quarter-finals by beating opponent. 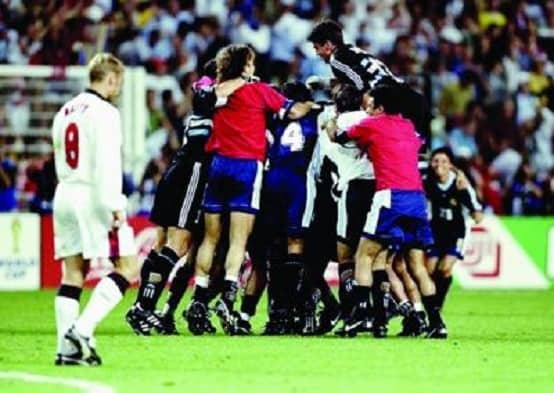 Roberto Baggio once again saved the Italian team, which was the media comment after the game. This is one of the perfect performances of Roberto Baggio in the United States. With Dino Baggio and Roberto Baggio scored the goal, the Spanish team was totally defeated. In addition to these best world cup matches, there must be many other greatest matches and maybe some of them are forgotten by us with time passed by. You can search them on YouTube and for the favorite one, downloading these FIFA WC videos for watching on the go by can be easily achieved with the help of a professional YouTube downloader and converter.